Every Disney park has a central icon, like Magic Kingdom’s Cinderella’s castle. For Animal Kingdom, that would be the Tree Of Life. It’s sits in the center of the theme park. It can’t be missed. With the exception of housing the theater for the “It’s Tough To Be a Bug” show, and unlike the castles, it’s not a place visitors can walk through. 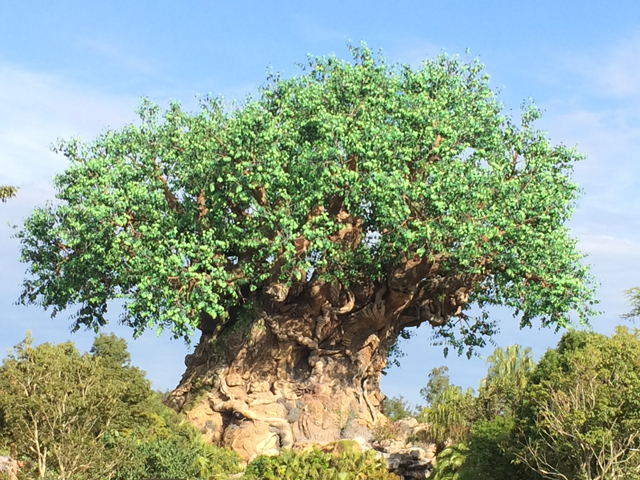 The experience at Animal Kingdom went beyond the awesome Tree Of Life. But that’s for another blog post when I’m not trying to squeeze in a post a day here, let alone letting my feet rest after another day of walking over 24k steps. Yes, it is. Such an integral part to the theme park.